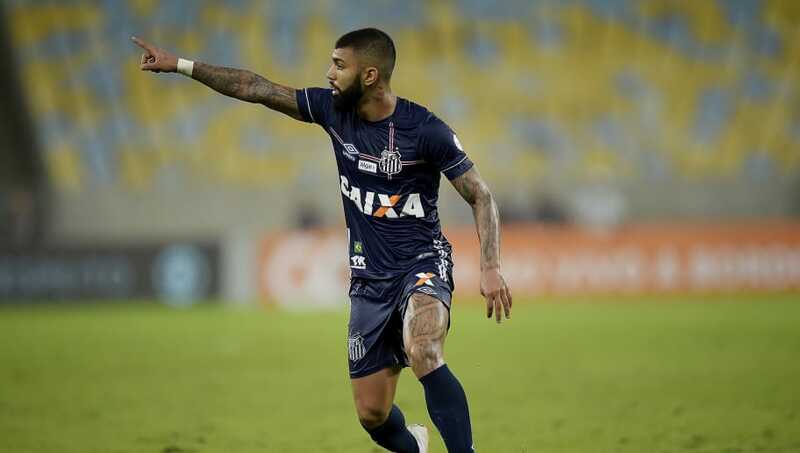 Gabigol scored his 16th league goal of the season vs Fluminense, maintaining his spot as the Brasileirão's leading goalscorer. Speaking about his future after his side's 3-2 defeat to Palmeiras, he said (as quoted by ​Globo Esporte): "Very complicated, I'll be honest. I'm going to enjoy these last games, because they might be the last." It has been reported in recent weeks that ​Premier League sides ​Crystal Palace, ​Everton and ​West Ham have all shown interest in signing the former Brazil prodigy, with the player himself seemingly confirming his wish to return to Europe. Gabigol's agent, Kia Joorabchian, is said to have a preference to move his client to the ​Premier League with Inter making it clear that they have little to no interest in keeping the player at San Siro after his difficult time in ​Serie A. Having burst on to the scene at Santos at the age of 16, Gabigol's early performances drew lofty comparisons with fellow Santos alumni Neymar and Pele. After spending three seasons in his native Brazil, the striker left to join ​Inter in a €29.5m deal, but struggled to keep a regular place in the side. After an unsuccessful loan spell at Portuguese side Benfica, where he played just 165 minutes of football, the striker returned to Santos on a temporary basis and has seemingly rediscovered the form that had some of European football's biggest clubs interested in him.